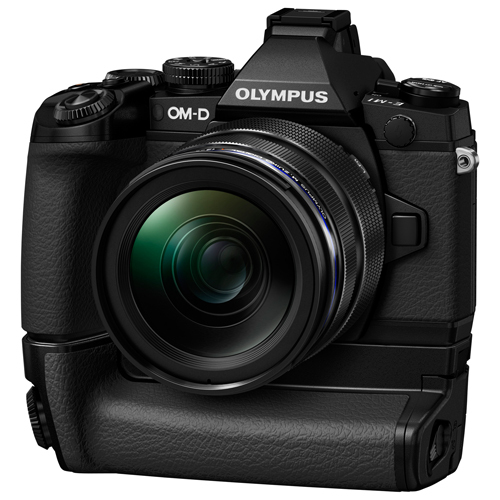 Disgruntled Olympus and Panasonic users are lobbying third-parties to develop radio flash systems for Micro Four Thirds. Disgruntled Olympus and Panasonic users are lobbying third-parties to develop a better flash system for Micro Four Thirds. A small group of camera owners has started a Facebook campaign called We Want Radio Flash for Micro Four Thirds, hoping to persuade manufacturers to make an advanced wireless flashgun that is compatible. “Nikon and Canon users had the luxury of such systems for years and the latest releases by the likes of Phottix and YongNuo bring the most desirable configuration at affordable prices: advanced flash, radio master and slave all in one,” said Thomas Geist, one of the campaigners. “The latest mirrorless offerings from Olympus and Panasonic are hugely popular and we would love to see the same flash offerings for these systems,” he added. Currently Canon, the world’s biggest interchangeable-lens camera maker, has its own 2.4GHz transmission system, with alternative radio flashes and triggers available from aftermarket brands such as Quantum, Yongnuo, PocketWizard, Phottix and Triopo, some of whom also support Nikon DSLR cameras and to a lesser extent Sony. However Micro Four Thirds users only benefit from more rudimentary manual radio triggers or Olympus and Panasonic’s own short-range IR flash protocol (reviewed here). According to USA Today, in April 2013 compact system cameras took a 10% share of Japan’s camera market, while the figure for the United States was just 2%. In those segments, the top-selling mirrorless system is actually the Nikon 1 series, which includes seven cameras but only two of them, the 1 V1 and 1 V2, feature hotshoe mounts. Accessory makers may be reluctant to invest in such a small audience when the larger Canon and Nikon DSLR market appears more lucrative. Micro Four Thirds-standard cameras are manufactured by Panasonic, Olympus and Blackmagic, who will be joined by JK Imaging (under the Kodak brand) in 2014. Though well-established firms such as Metz and Nissin make a range of flashguns for the system, none includes a built-in radio transmitter like that found in the recently-announced Phottix Mitros+, which should be released for Canon, Nikon and Sony cameras later this year. What do you think? Do mirrorless cameras need better wireless flashes or should these people quit complaining and buy a DSLR?